GT-Games is currently included as a freee part in GT-Command. There are currently 5 games which any user can apply and get exited about. They are good for learning to operate a model train layout, they can be used with traditional contgrol units as well as voice control and mobile. The user can also build their own games using our examples as model. 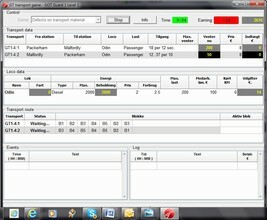 You can make your own timing, length, trains, tasks - however for one train only.